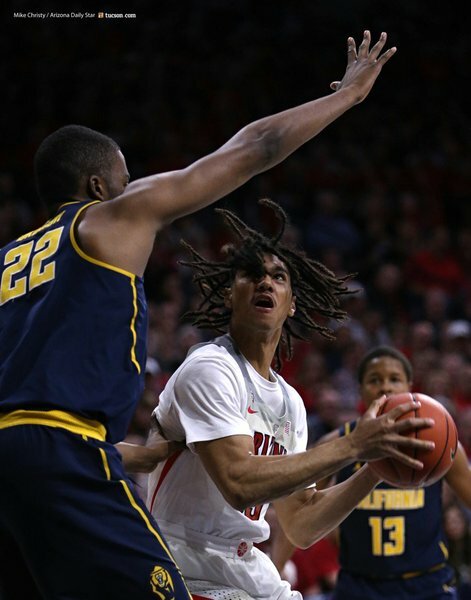 Get a recap of news from Arizona's win over Cal. Dusan with the spin move down low is always entertaining to watch. He's got quick feet for a 7-footer. A very slow disappointing first half. Alkins hits the free throw and we've got a tie ballgame. On the floor: Kadeem, Kobi, Rawle, Pinder and Ristic. Dusan with the assist! What a pass! And actually, what a finish by Rawle Alkins. Great play all around. Trier wanted the foul call, but the refs won't give it to him. Arizona's scoring drought extends. Well folks we'd better get used to this our offense is horrid against the zone can't figure it out. The rest of the season that will be the only D this team will see. Arizona hasn't scored in the last 3 minutes 9 seconds. Why can't the cats defend the 3. They have the athletes. Why are the bigs shooting from outside? Dusan and Kobi lead Arizona in scoring with six points apiece. At the media timeout, Cal leads 18-17 with 6:48 left in the half. Cats will slow down the offense a bit here. 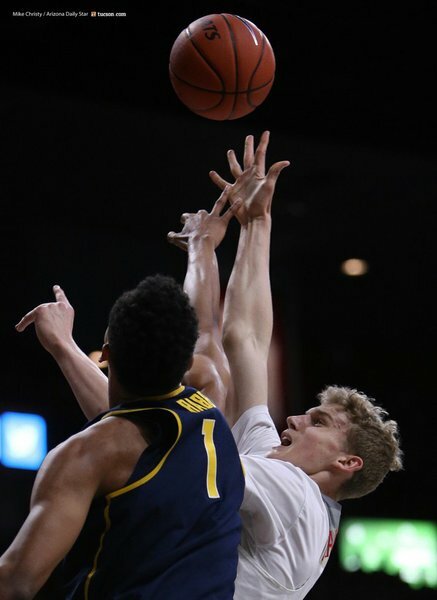 Ristic misses the jumper. PJC probably should've taken that shot. Chance and PJC checking in for Kobi and Pinder. Kobi seems to have a lot of energy tonight. Maybe wants to prove himself now that he's coming off the bench. dribble ... foul .. pass .. foul .. turn .. foul ..run.. Impressive. Kobi grabs the rebound, takes it for the fastbreak, finds Ristic and he hits the lefty layup. Clockwork. Keanu Pinder is supposed to have a breakout game tonight because his name is Keanu and John Wick 2 is in theaters. Walton's really off the wall tonite. Ristic visibly upset with himself after he just missed that hook shot. Trier just picked up his second foul of the game. Now him and Markkanen both have two. Former Arizona Wildcat Chris Mills is in attendance tonight. Just received a warm round of applause from the crowd.